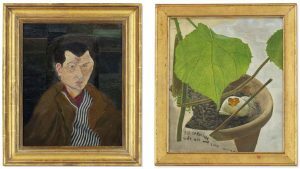 A large and diverse selection of 12 works by Francis Bacon and Lucian Freud will come up for auction at Christie’s this October during London’s Frieze Week. The group is led by Francis Bacon’s Figure in Movement (1972), held for 41 years in the prestigious collection of Magnus Konow. 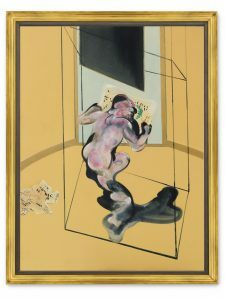 The work is a poignant meditation on human existence, expressed through the memory of Bacon’s muse and lover George Dyer, whose tragic suicide took place less than thirty-six hours before the opening of Bacon’s career-defining retrospective at the Grand Palais. Within Bacon’s oeuvre, Figure in Movement sits at the centre of the black triptychs. In addition, a collection of some of the earliest works on record by Bacon, comprises six pieces including his earliest surviving large-scale work, Painted Screen (circa 1930), a precursor to his famed triptychs. 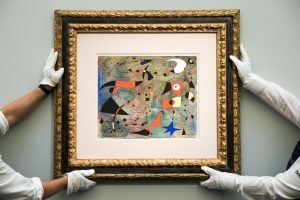 On loan to Tate, London, since 2009, the collection bears an outstanding provenance that includes Bacon’s first patron Eric Allden and his early artistic mentor Roy de Maistre. 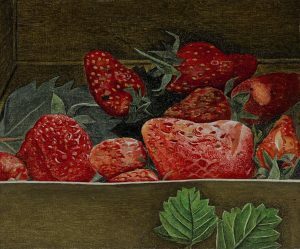 In the 1940s, five of the works entered the family collection of Francis Elek, who met Allden around this time; he acquired the sixth following de Maistre’s death in 1968. 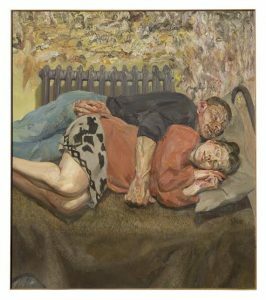 Similarly, Lucian Freud’s early Man in a Striped Shirt (1942)(£1,000,000-1,500,000), created when the artist was 19, also from the collection of Magnus Konow, is presented alongside a still-life celebrating the artist’s love for his wife Caroline Blackwood, and a 1980 portrait of his friend and lover Susanna Chancellor. Two of the first studies of Francis Bacon Freud created in 1951 are also included. The sale will take place on October 4. 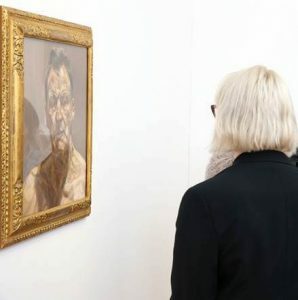 The Irish Museum of Modern Art is extending its inaugural Lucian Freud exhibition until next January 7. The museum is celebrating a successful first year of IMMA Collection: Freud Project with a two-week period of free entry to coincide with the October mid-term and Halloween Bank holiday. The exhibition features 50 works by Lucian Freud (1922 – 2011) on a five-year loan from a number of private collections. All have been on display for the past year. 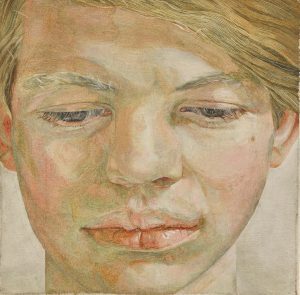 This is the first instalment of a five-year educational and cultural initiative where IMMA will present a series of different Lucian Freud related exhibitions. A new exhibition The Ethics of Scrutiny will open in early February. This, and subsequent exhibitions, will include works and new commissions by other modern and contemporary artists in response to Freud. A landmark sale of major paintings and sculpture will mark Christie’s 250th anniversary in London on June 30. The focus will be on great works of British art. 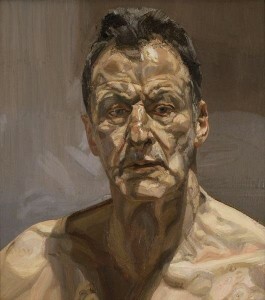 Highlights will include an intimate family portrait by Lucian Freud painted in 1992. 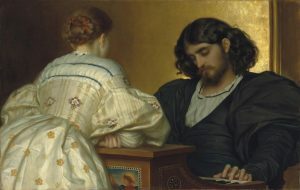 At auction for the first time in 100 years is a pivotal example of British Aestheticism from 1864 by Frederic, Lord Leighton. 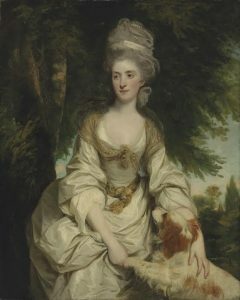 And there is an exquisite 1778 portrait by Sir Joshua Reynolds which has never been on the market before. Building on the success of Christie’s pioneering series of curated evening sales including Looking Forward to the Past and The Artist’s Muse in 2015, the global auction house will celebrate four centuries of British artists with an evening sale on June 30 entitled Defining British Art. A loan exhibition with the same title will run from June 17 to July 15. Highlights will be on view at Christie’s New York from May 6-12 and at Christie’s Hong Kong from May 26-30. Ib and her husband (estimate c£18 million). Courtesy Christie’s Images Ltd., 2018. The museum announced highlights of its 2016 exhibition programme today. It will include solo exhibitions by Patrick Hennessy and the Italian artist Carol Rama. Artists will take over the courtyard in the summer for a project entitled A Fair Land in collaboration with Grizedale Arts. In the Autumn there will be an exhibition of artist Emily Jacir, whose work explores various histories of migration, resistance and exchange through the telling of very personal stories. In a new invited curators initiative Indian curator Sumesh Sharma and Irish curator Kate Strain will present projects at IMMA that reflect their individual practices and bring new curatorial perspectives into IMMA’s programme. Pregnant Girl, Lucian Freud’s portrait of his then 17 year old Irish lover Bernadine Coverly pregnant with their daughter Bella, sold for £16.1 million at Sotheby’s in London last night. Dated 1960-61 it was a record price for an early painting by the artist. The work had been in the same collection for more than 30 years. 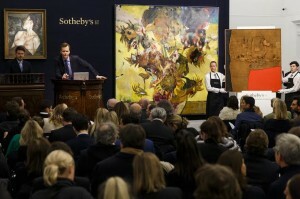 It was the top lot in a sale of contemporary art which brought in £69.5 million. There were auction records for Alberto Burri and Adrian Ghenie. Burri’s Sacco e Rosso made £9.1 million and Ghenie’s 2014 work, Sunflowers in 1937, soared to £3.1 million. 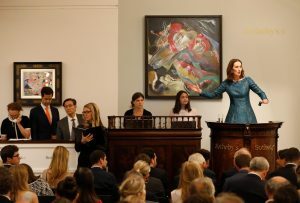 Here is a video from Sotheby’s on Lucian Freud’s Pregnant Girl – capturing 17 year old Bernadine Coverly pregnant with Bella Freud – which comes up for auction on February 10.